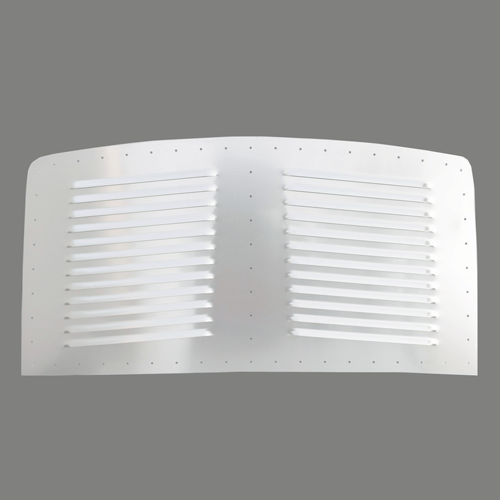 32″ X 17″ – One Panel, 30 Louvers. A single WIDE panel for flat or slightly curved hoods with no center ridge in this area. 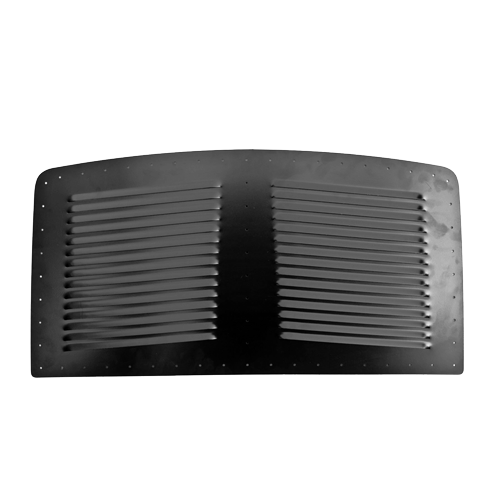 Perfect, exact-size replacement for cheap plastic Hummer H3 fake hood louvers — but many other applications too! 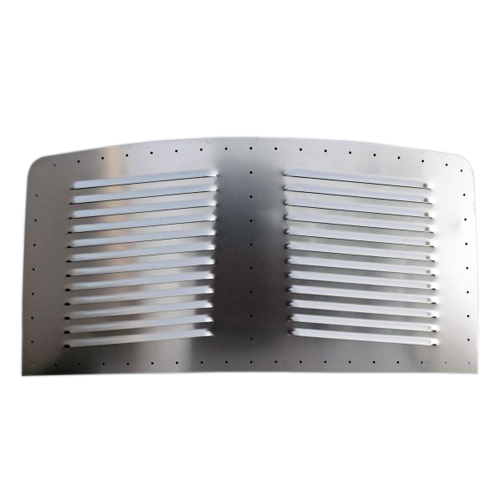 Mounted in the front of the hood, increases air flow through the radiator; mounted at rear of hood, heat from engine bay is extracted.